Spacious main restaurant hall of Balinsasayaw. At one o'clock in the afternoon, hunger made us all uncomfortable already. We headed from Silang, Cavite. It was a long way drive to Tagaytay City as we reached Balinsasayaw Restaurant. The first group waited for us while they ordered fresh guyabano; they're the hosts. Nipa huts to choose from. The restaurant has a huge parking space. 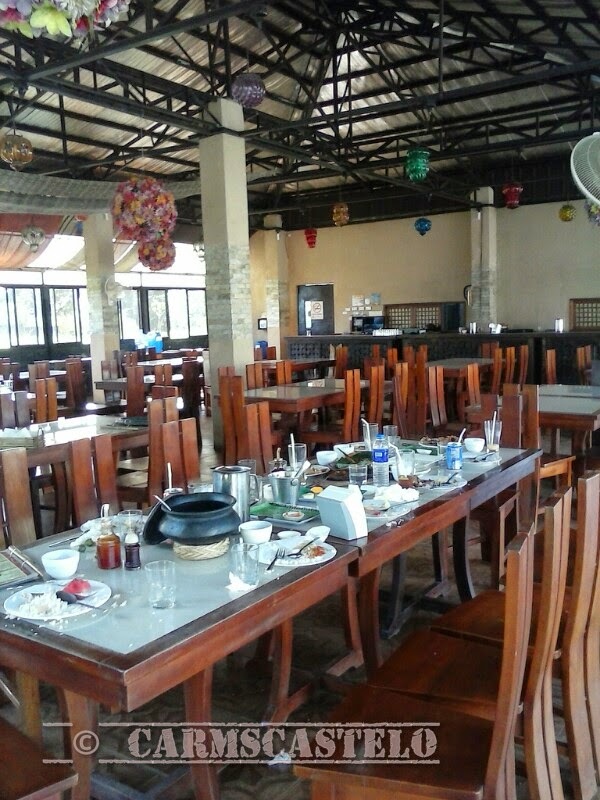 It has a main hall but you can choose between eating in the main restaurant or inside the nipa huts. 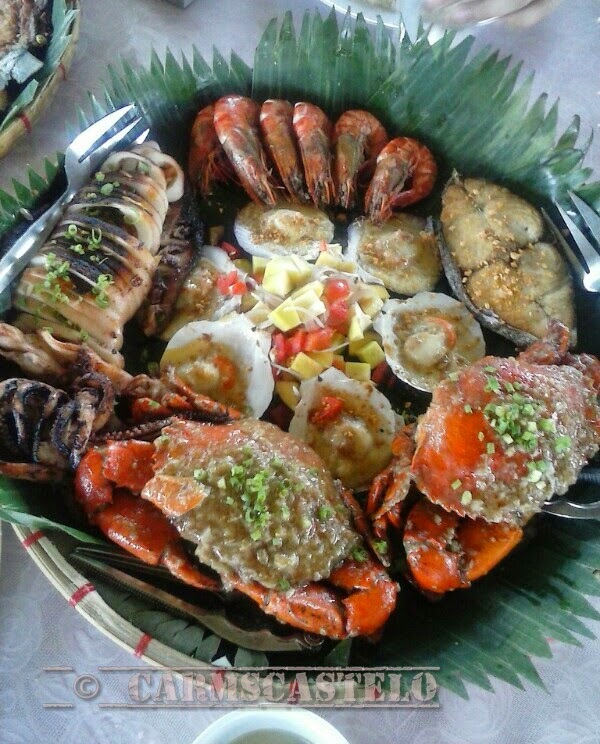 I also see similar nipa huts in various retaurants in Legazpi City, which makes dining more fun as a picnic. Several huts made of light materials (thatch) will make the most of your time as you enjoy the luscious packages in bilao in Balinsasayaw. One of Balinsasayaw's bilao packages. Food is the best in Balinsasayaw. It made me so full. At 2:00 p.m., it was very much like my Spanish meal. 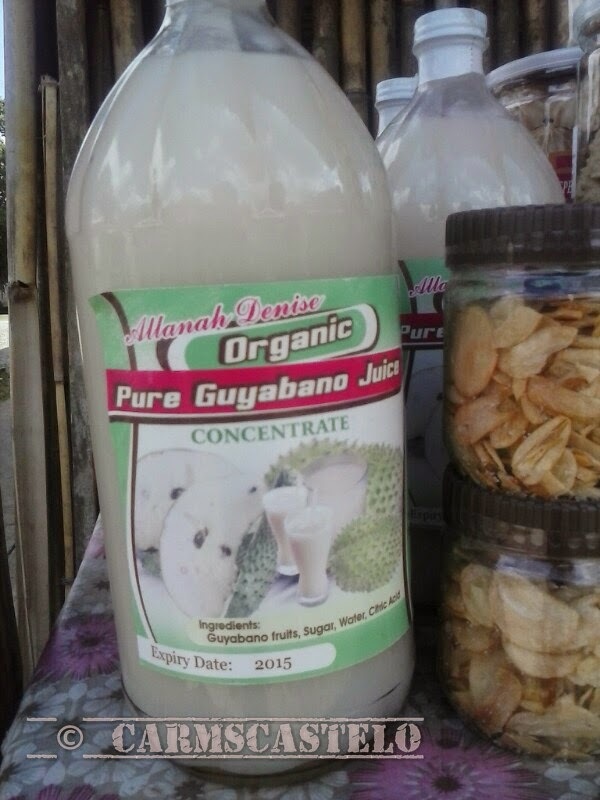 Before leaving you can buy some take-home products being sold in the restaurant like fresh guyabano juice and sweets. 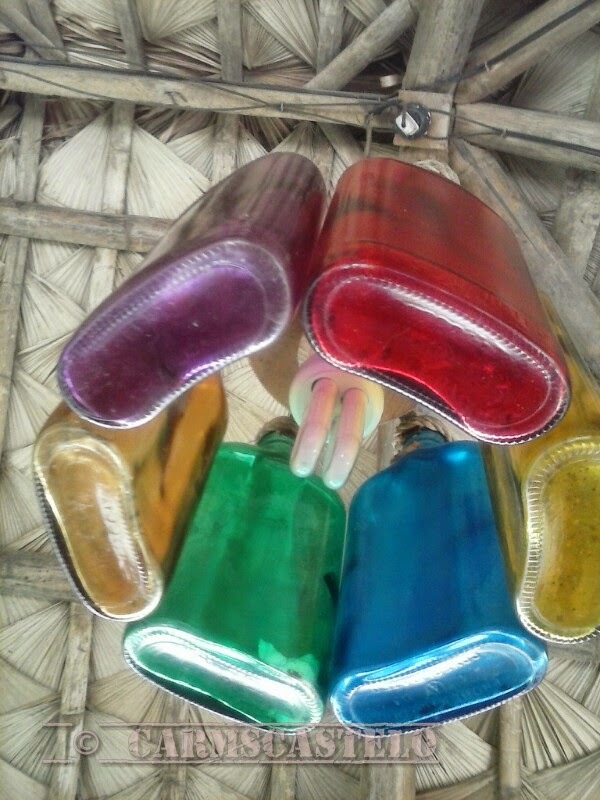 Colorful reuse hanging inside the hut. 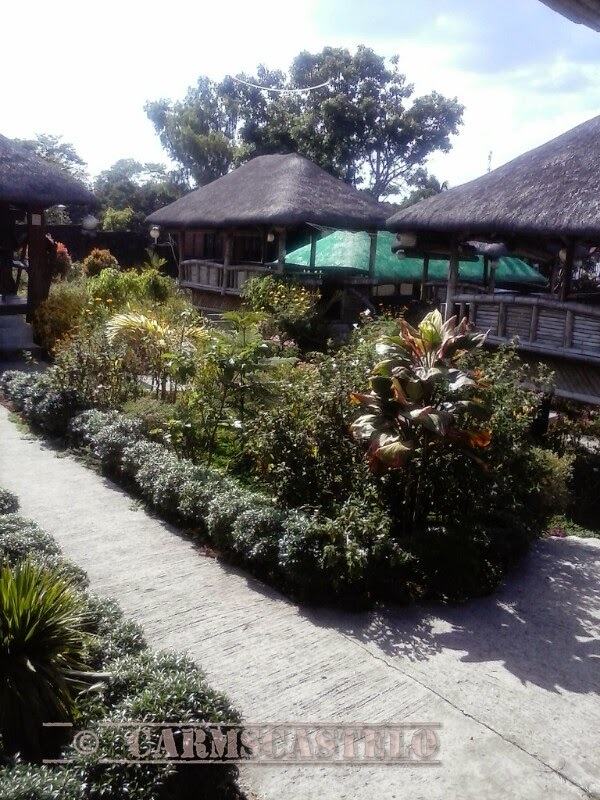 When you're in Tagaytay City, Balinsasayaw is a place and a restaurant to visit.